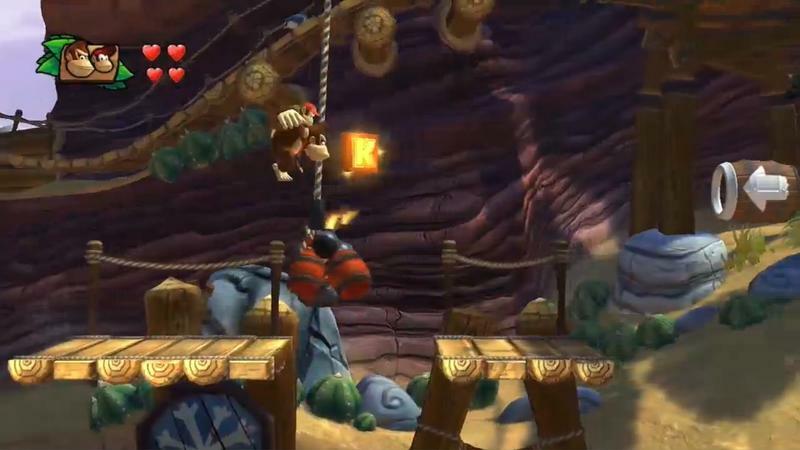 Okay, so, Donkey Kong Country Returns, the title that dropped originally for the Wii and then the Nintendo 3DS, is notoriously difficult. 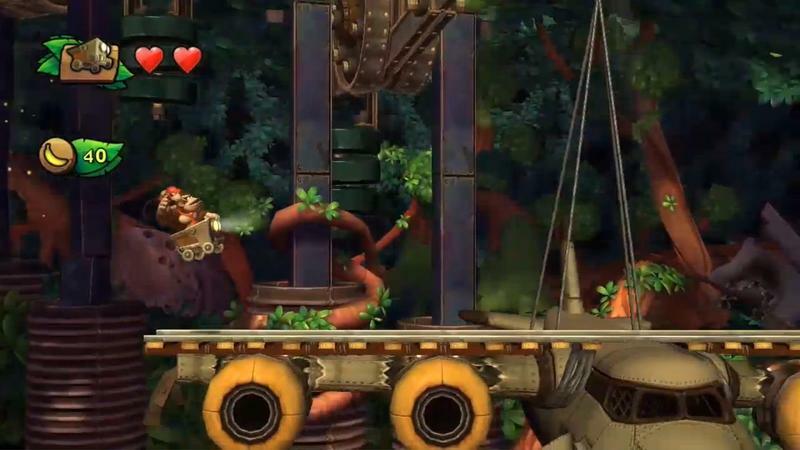 So difficult, in fact, that one of the 3DS port’s features was less difficulty. 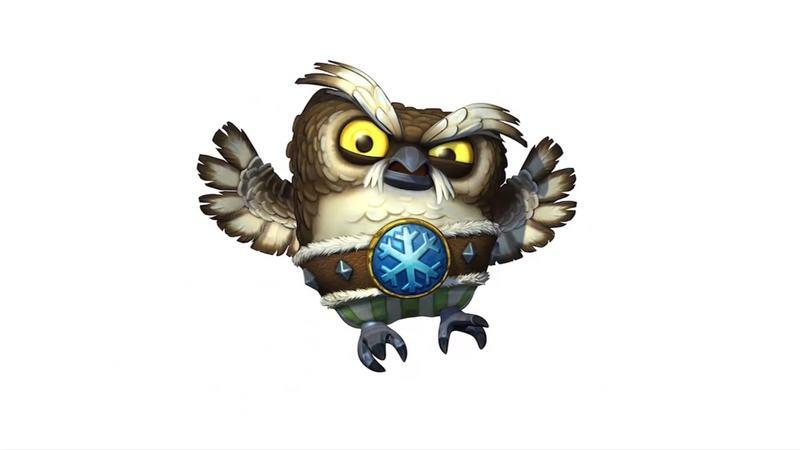 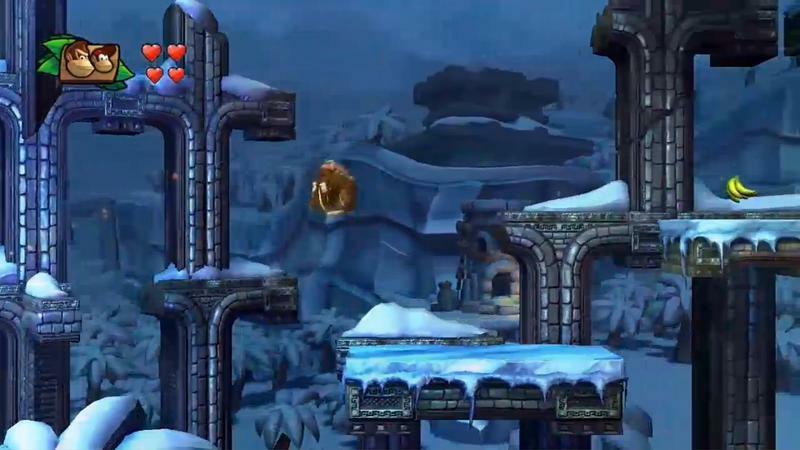 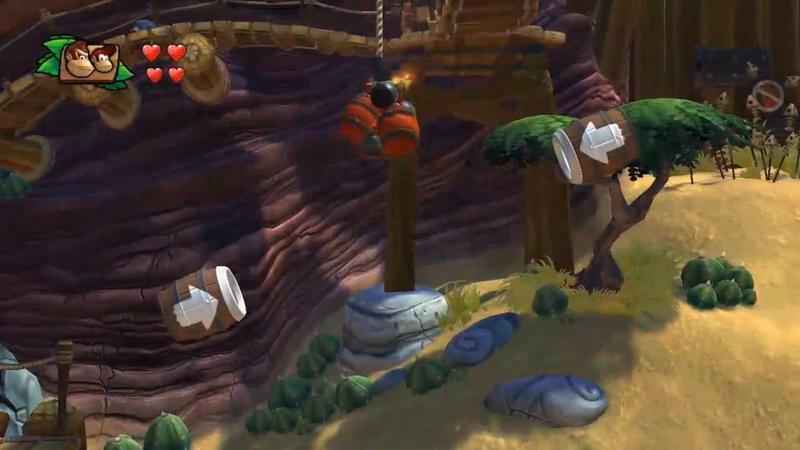 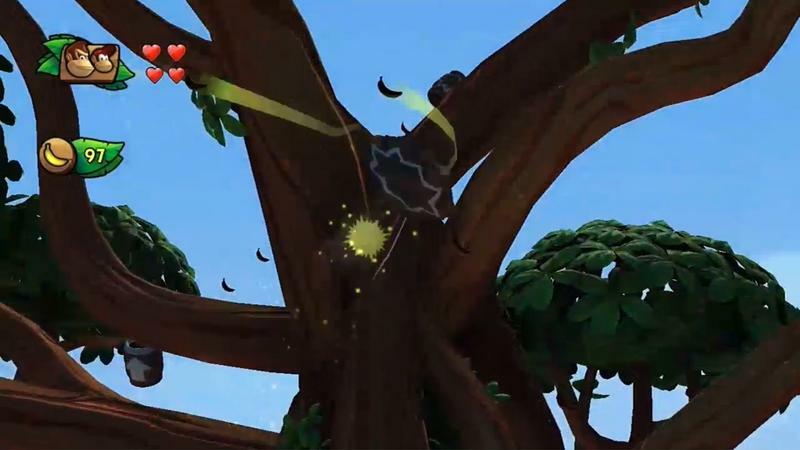 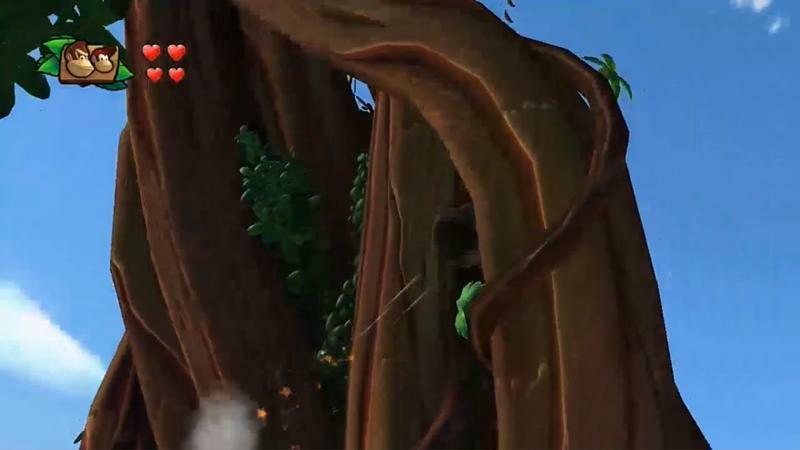 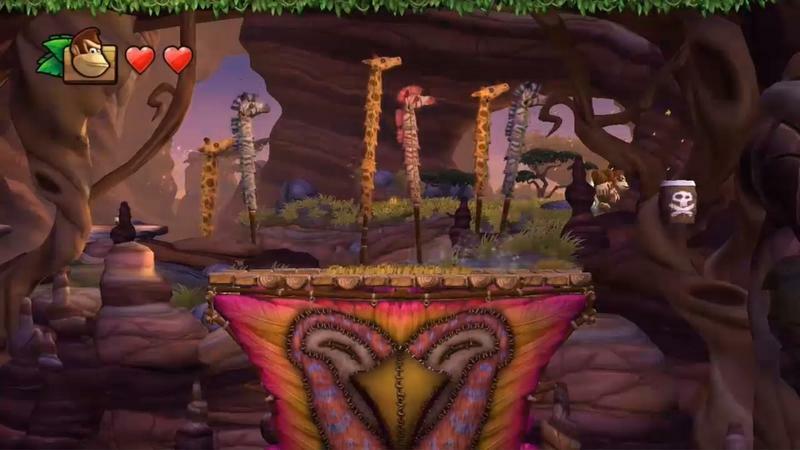 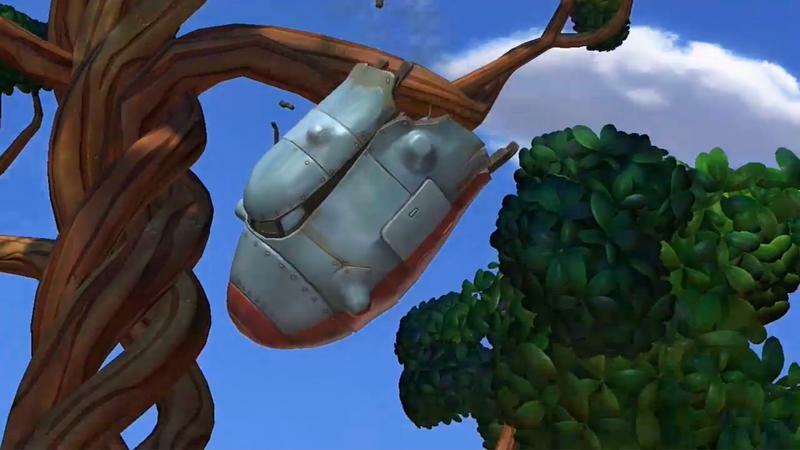 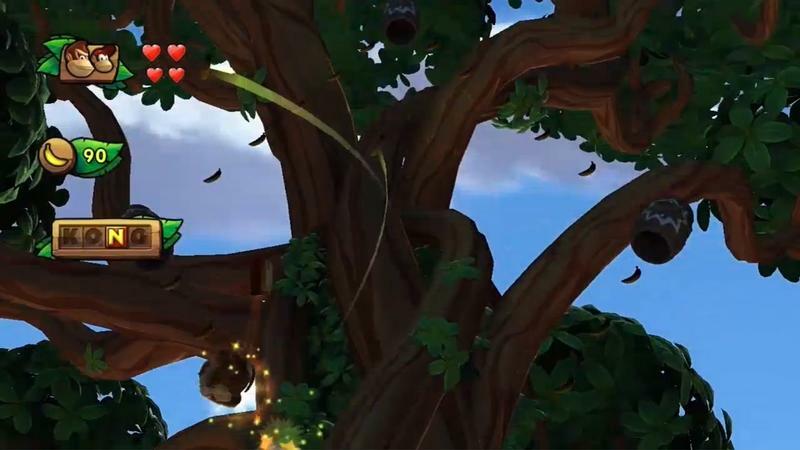 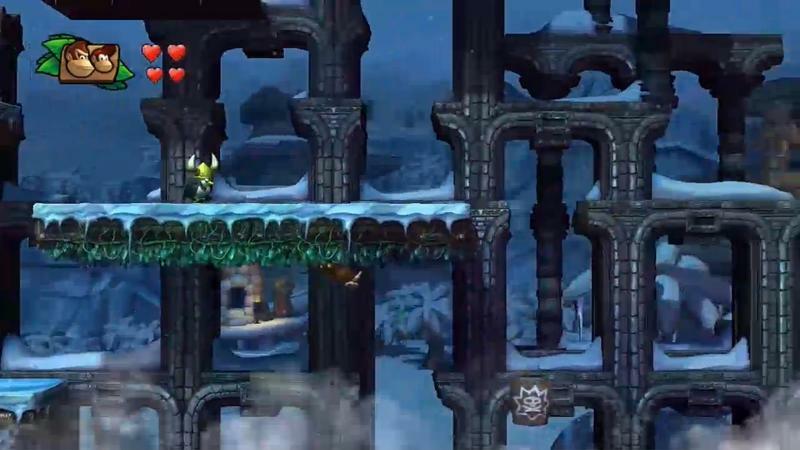 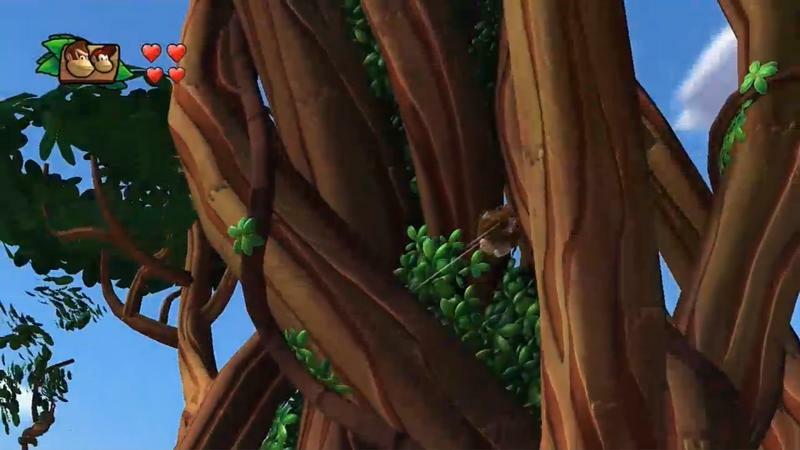 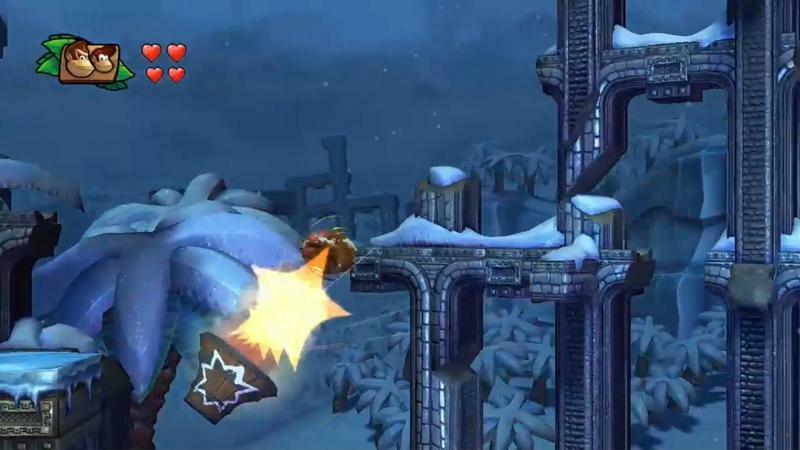 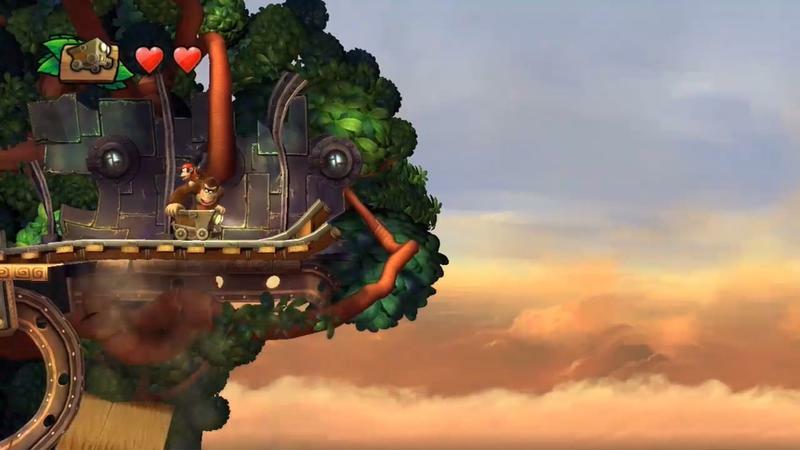 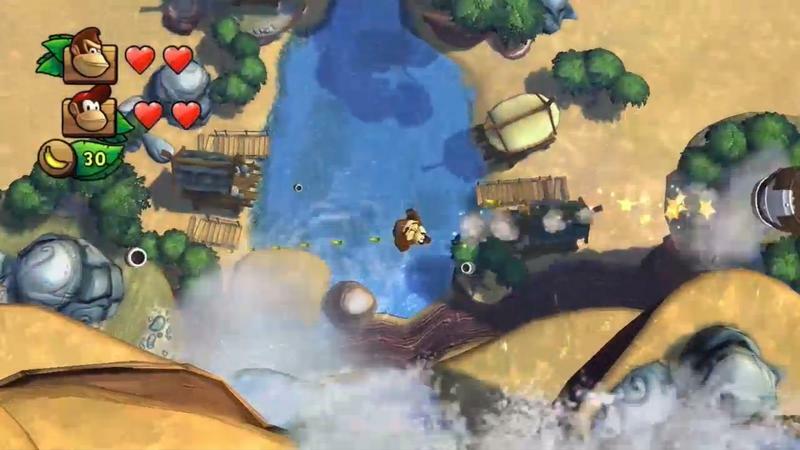 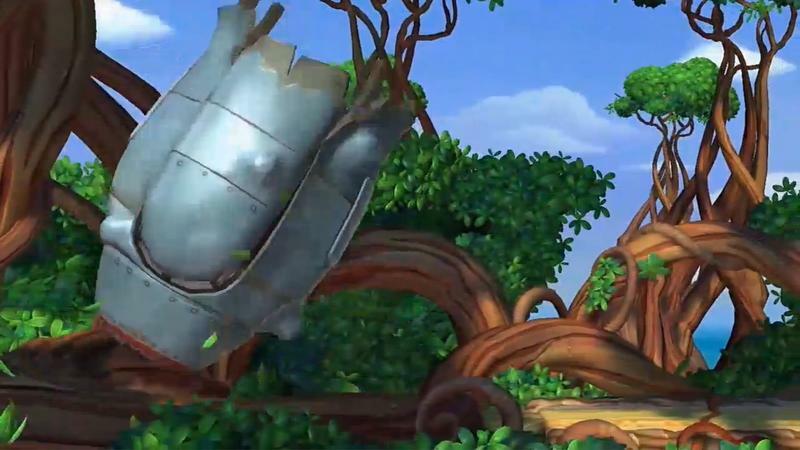 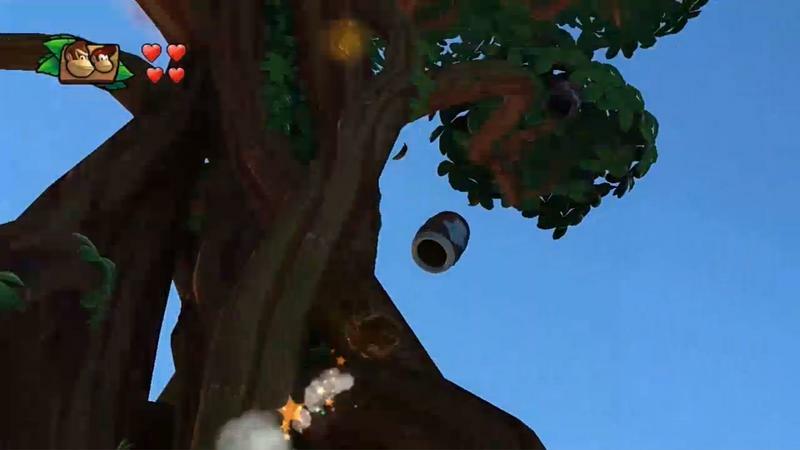 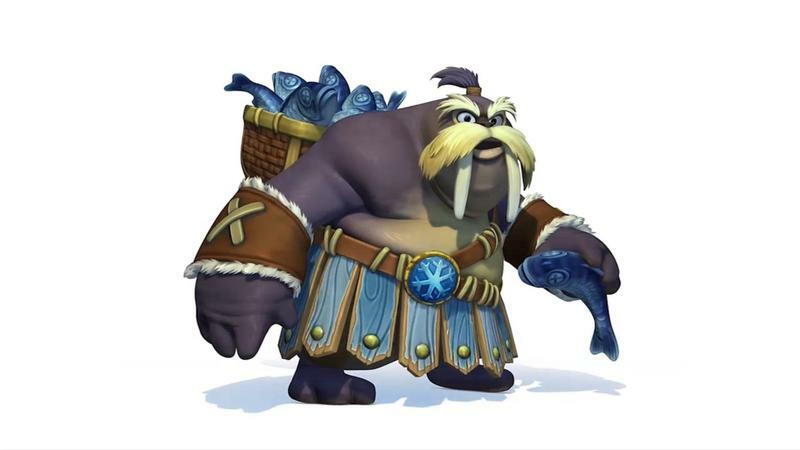 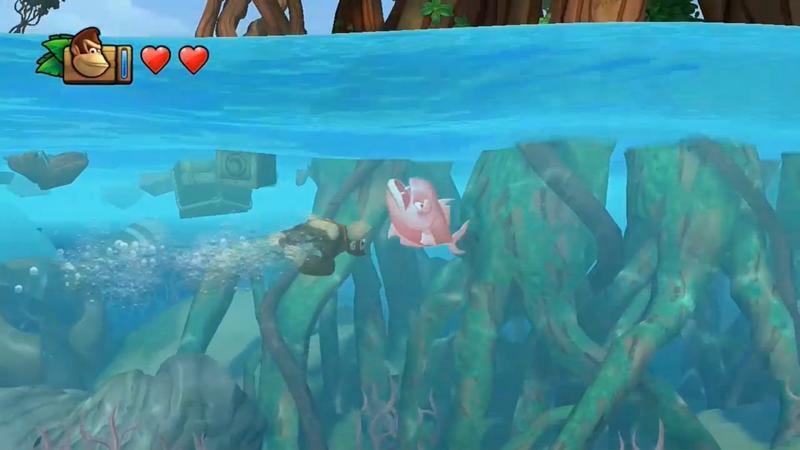 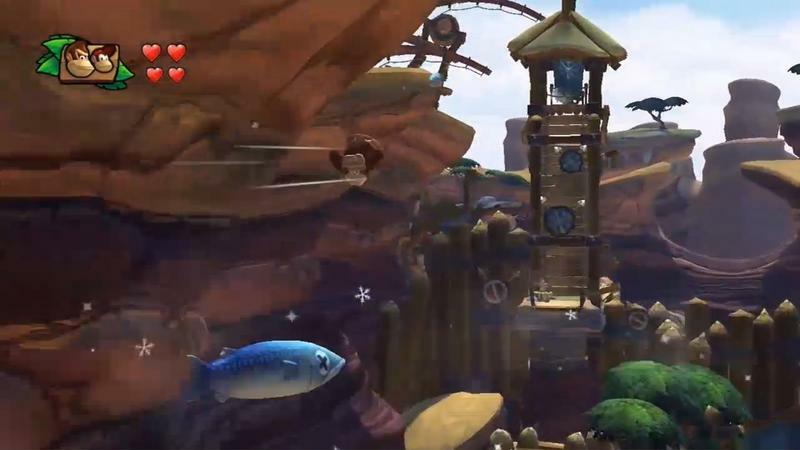 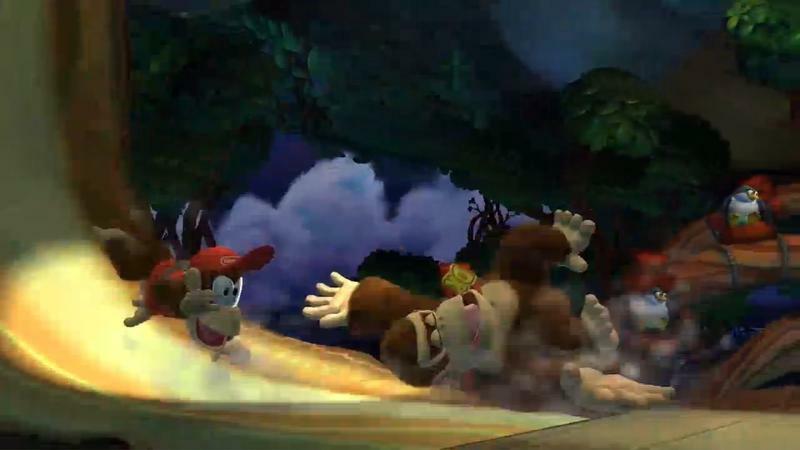 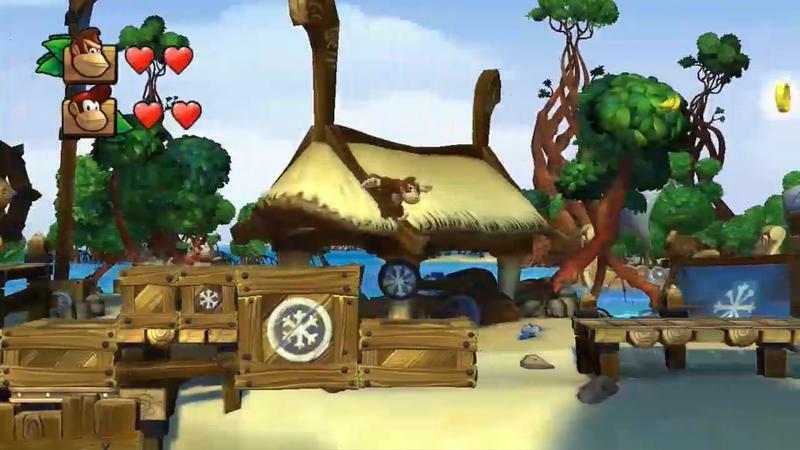 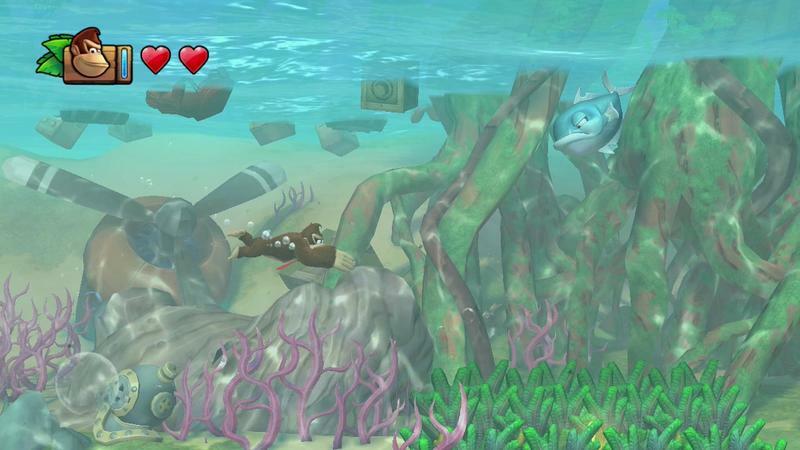 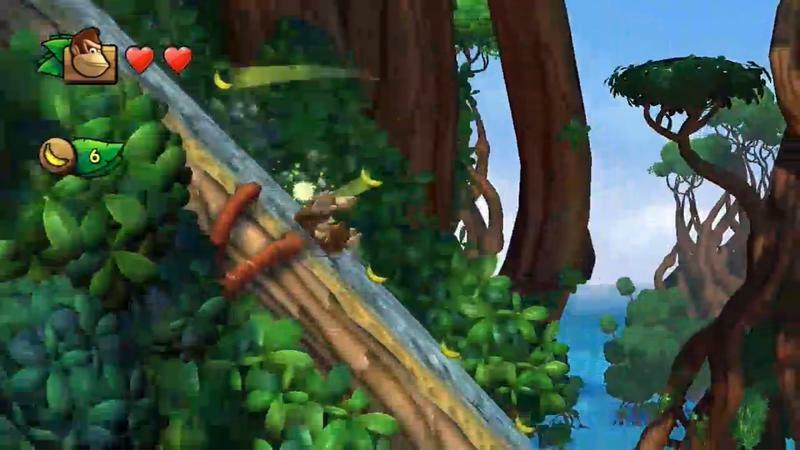 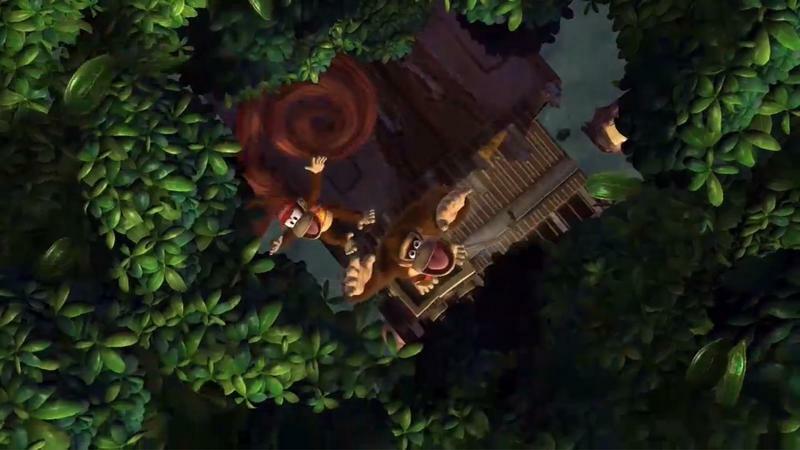 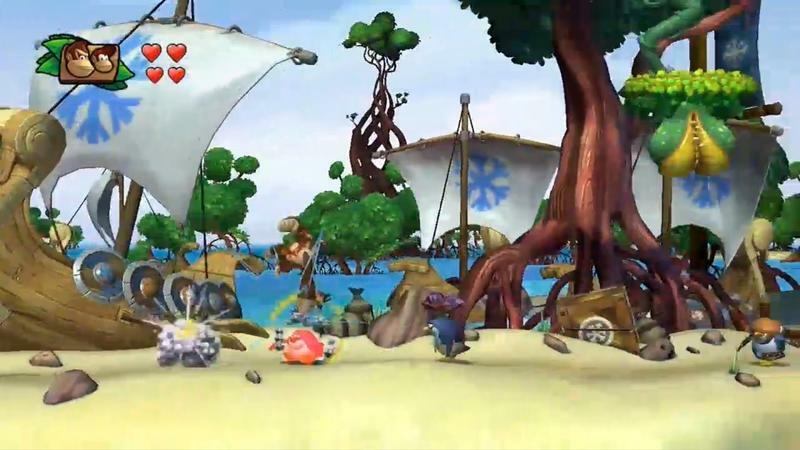 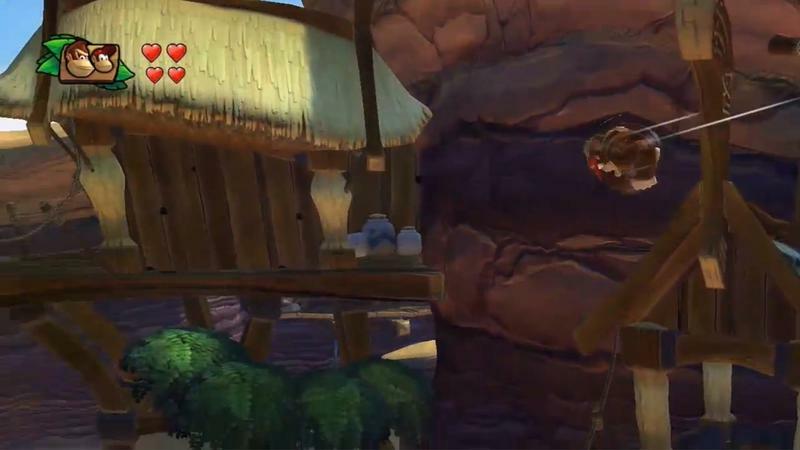 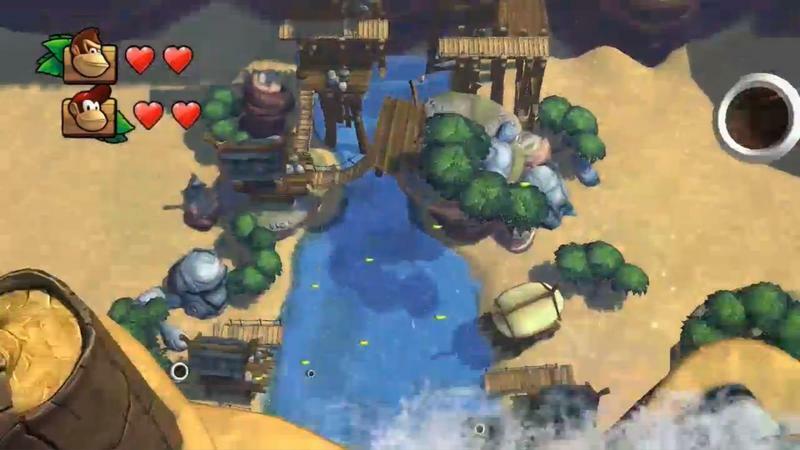 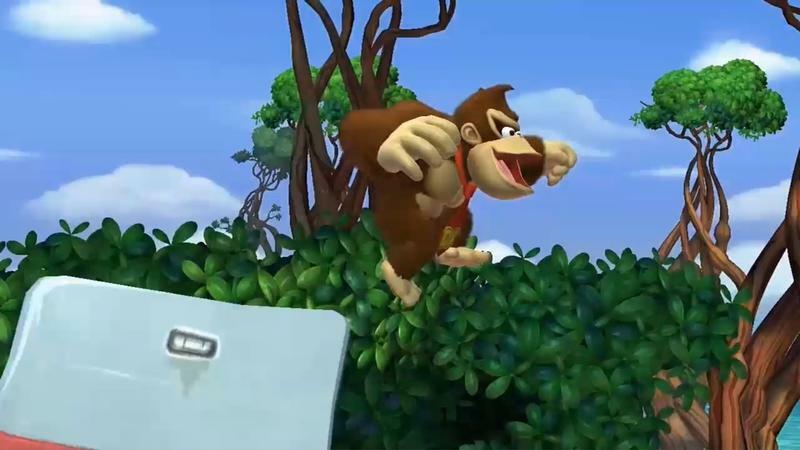 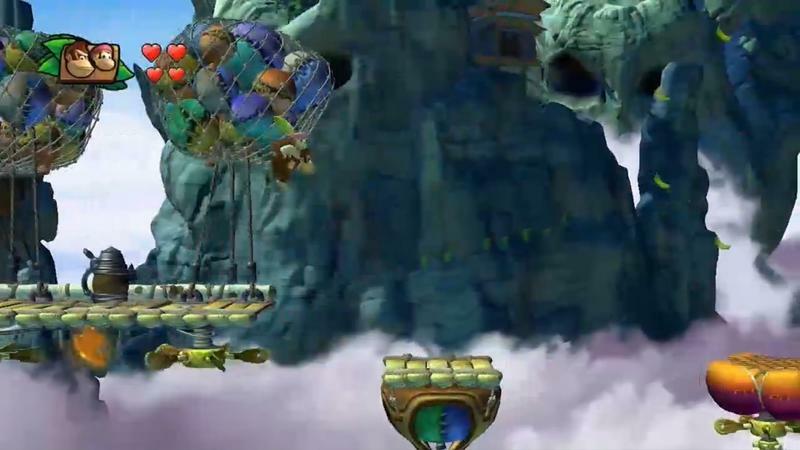 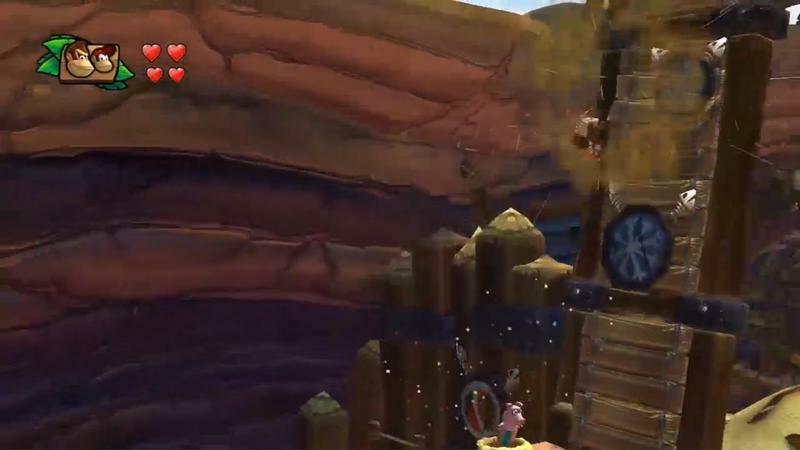 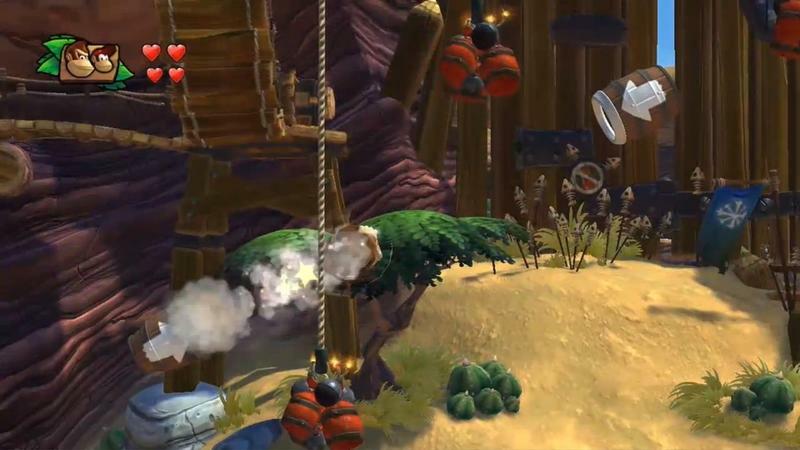 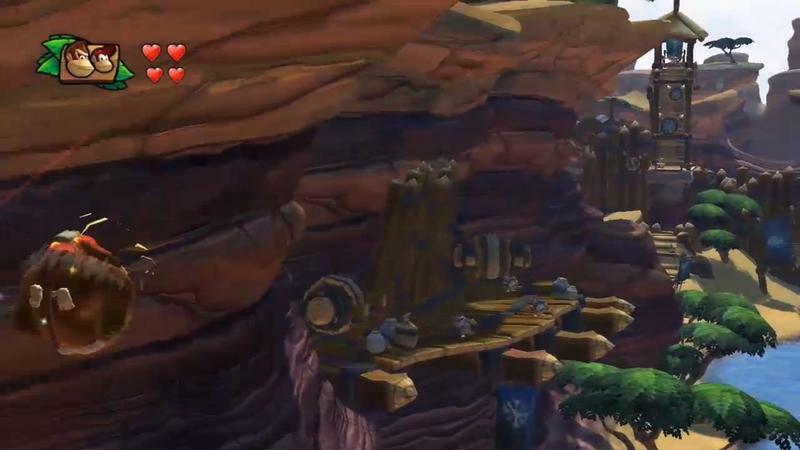 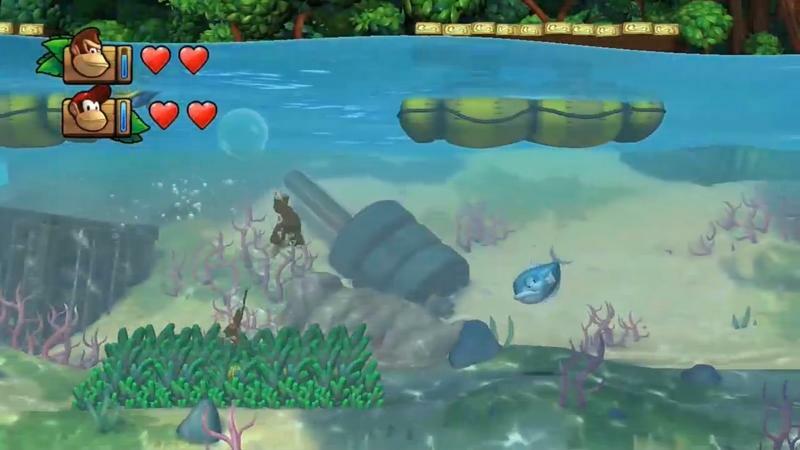 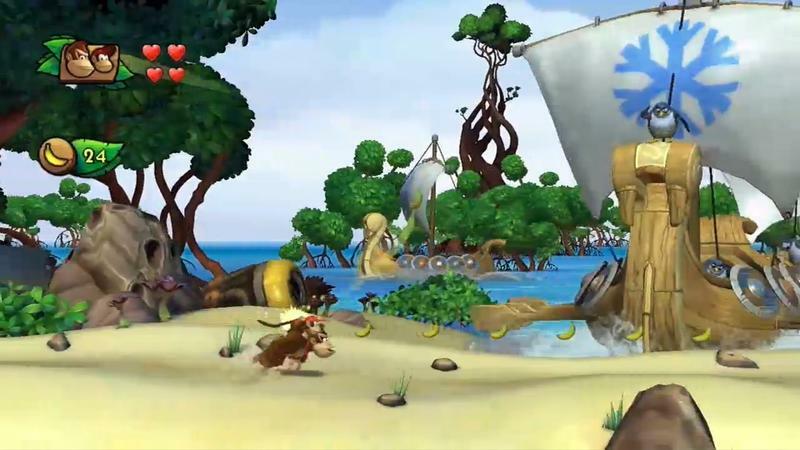 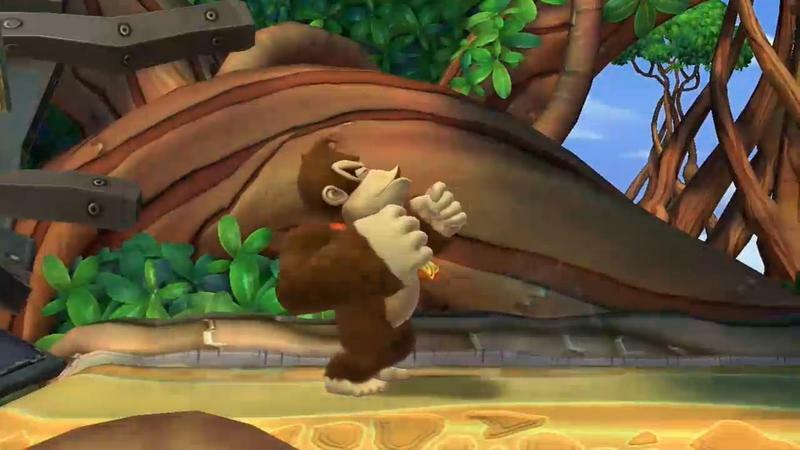 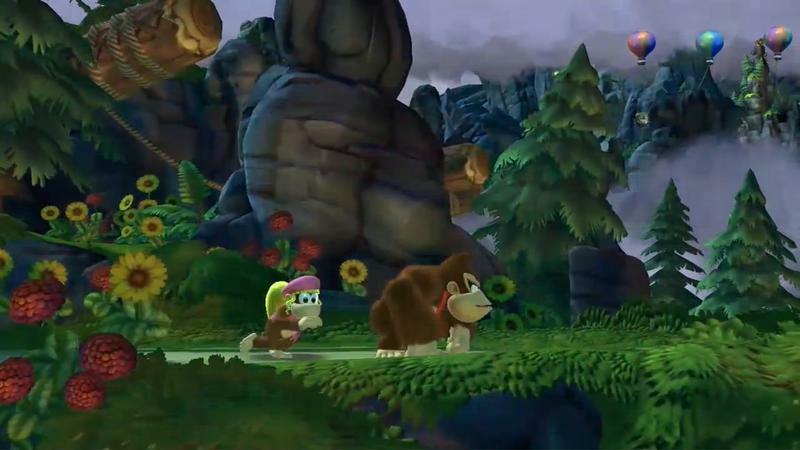 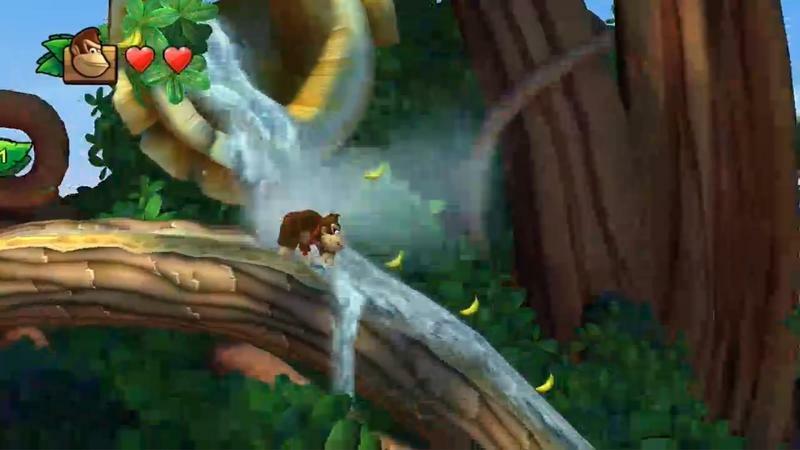 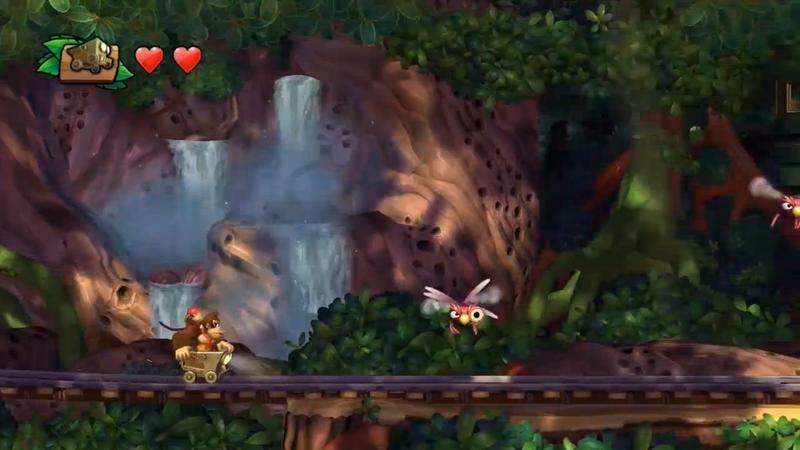 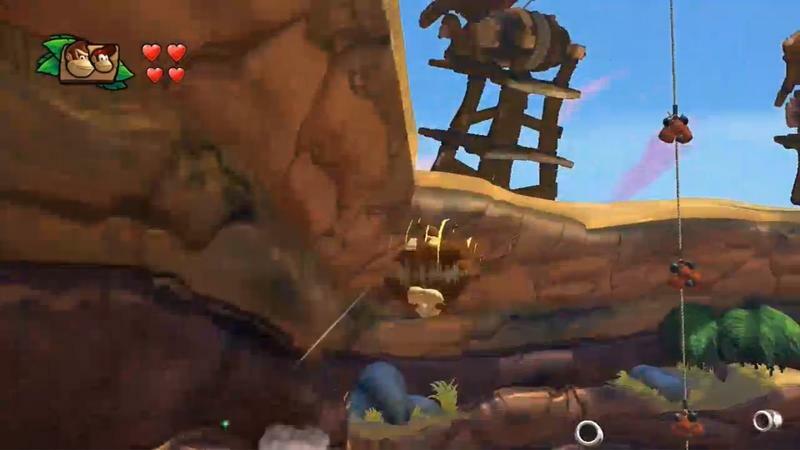 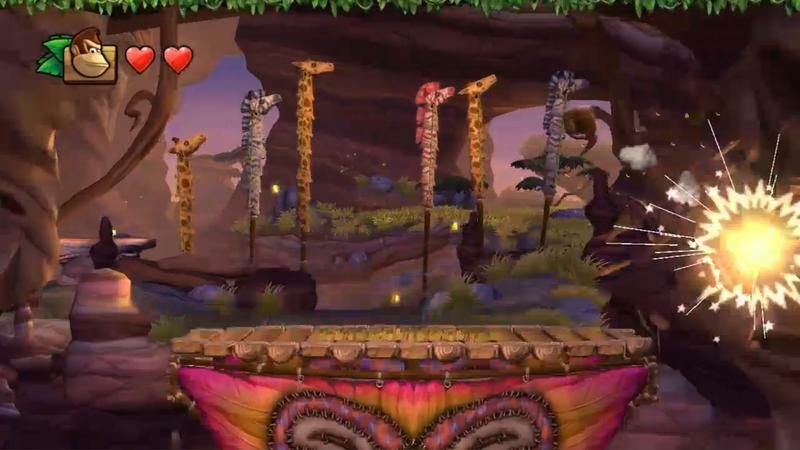 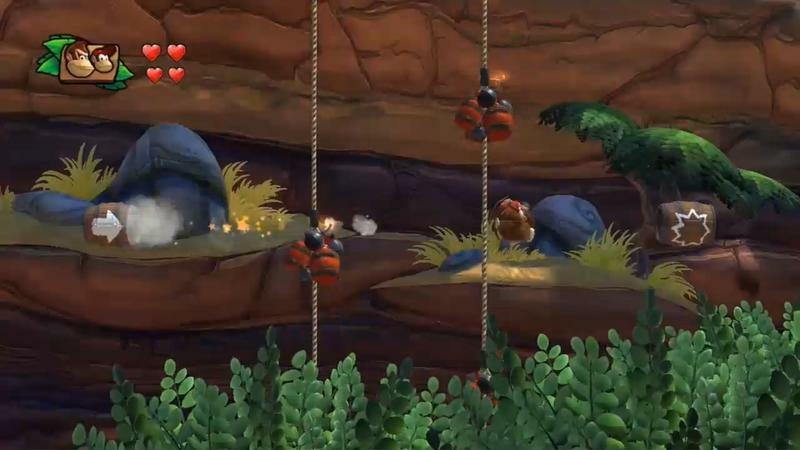 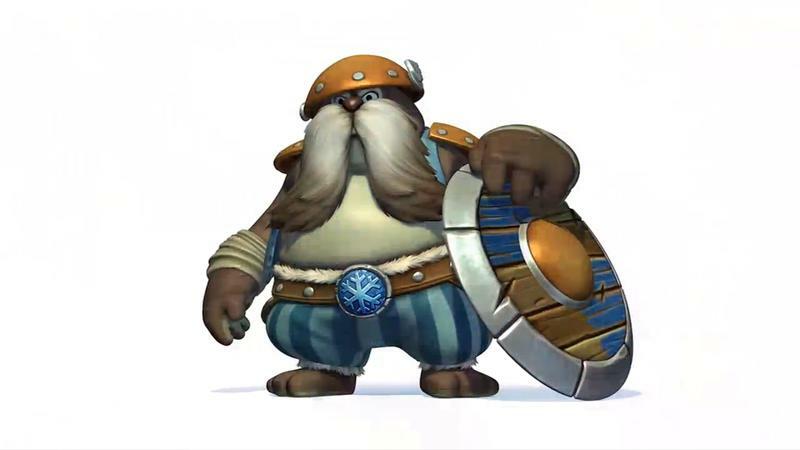 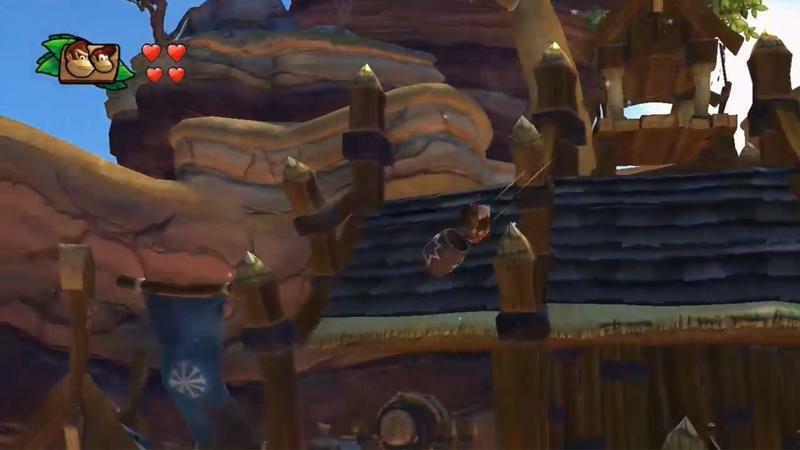 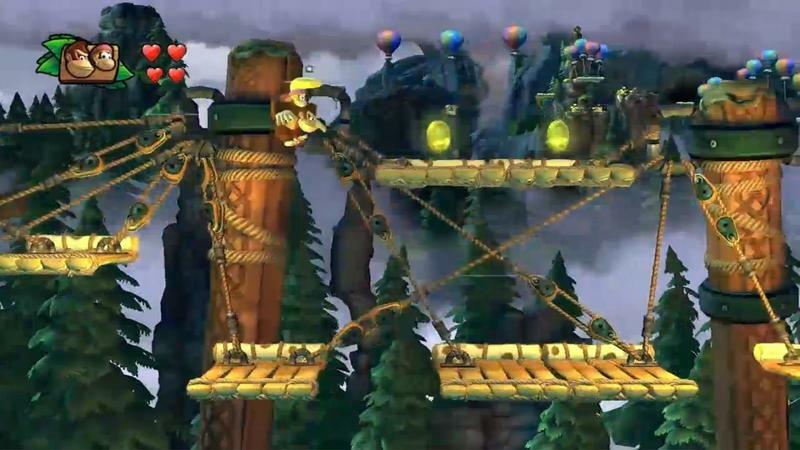 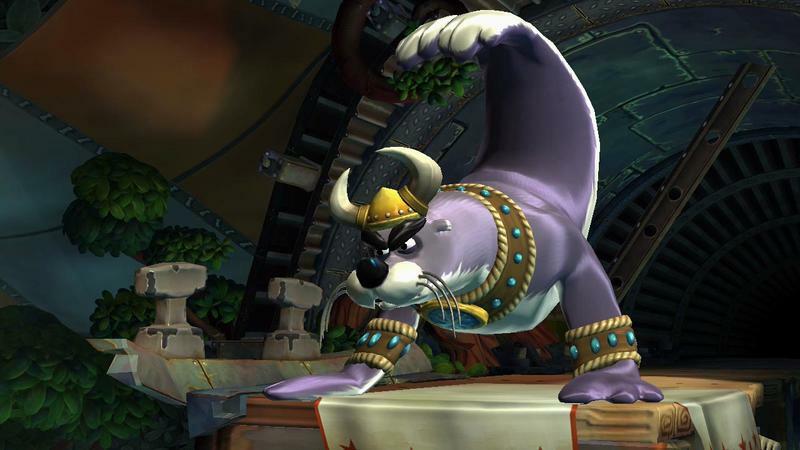 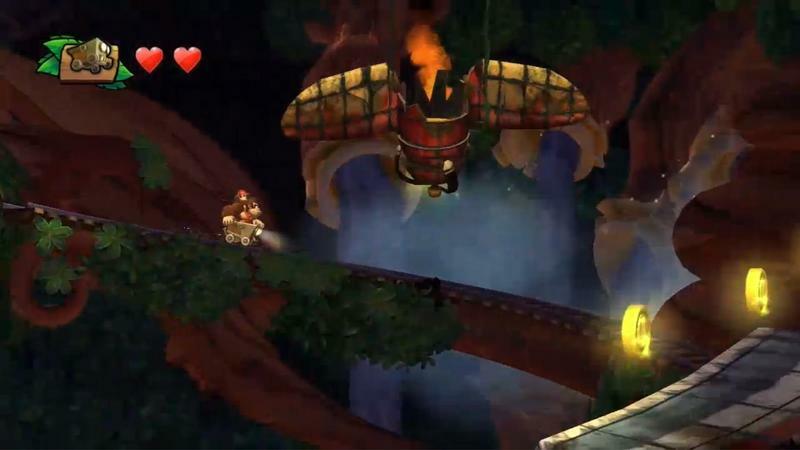 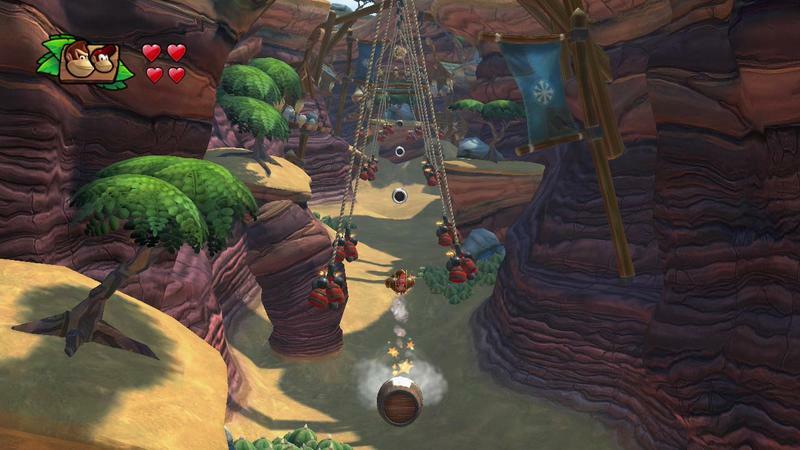 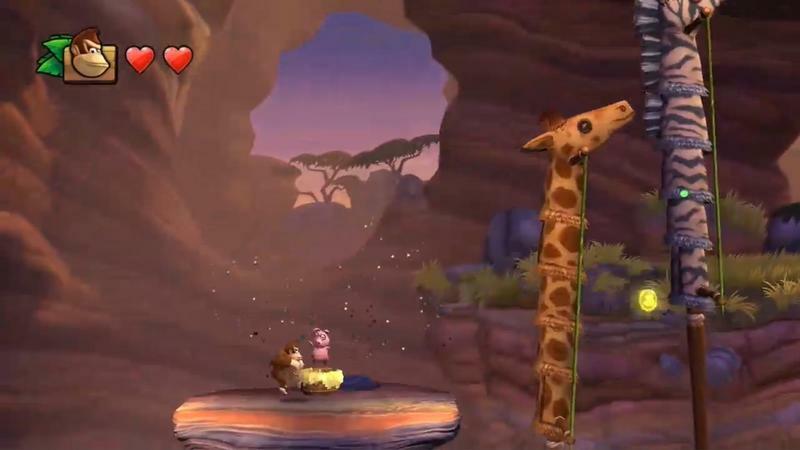 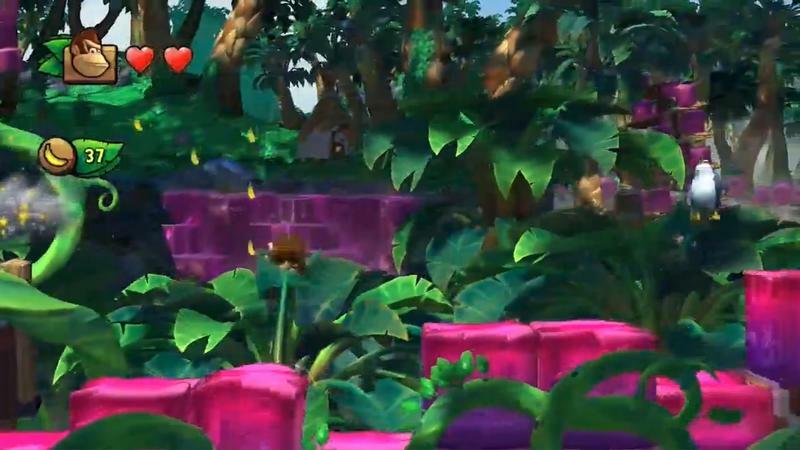 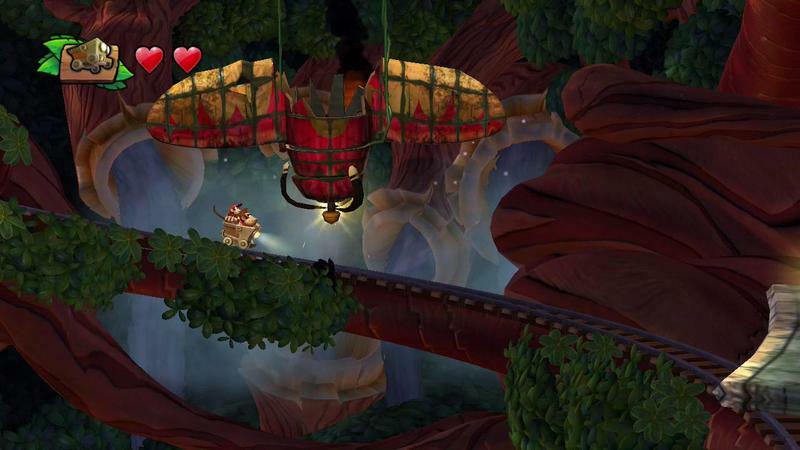 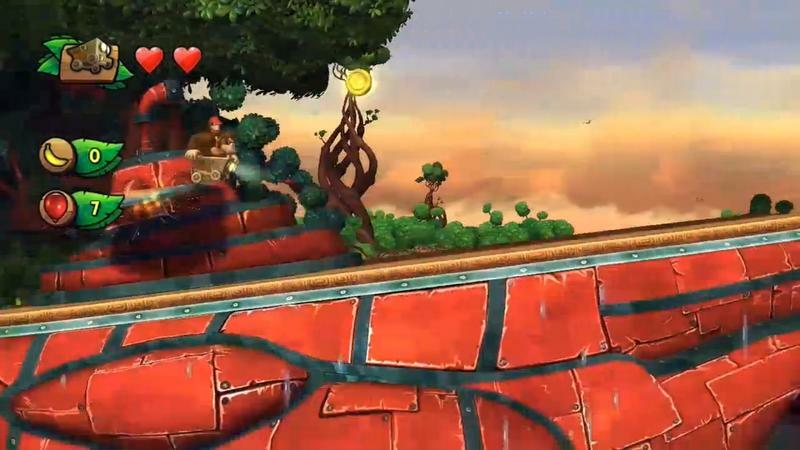 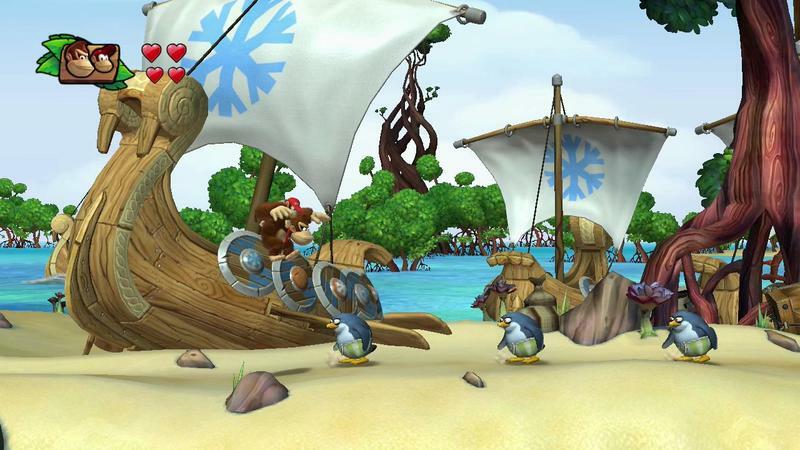 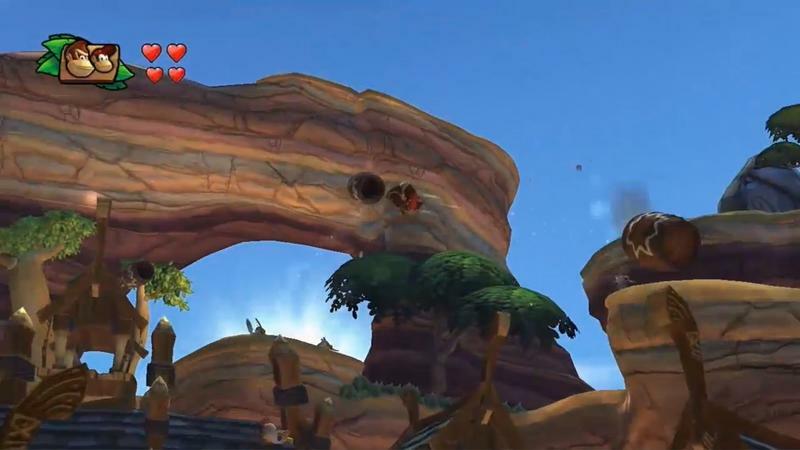 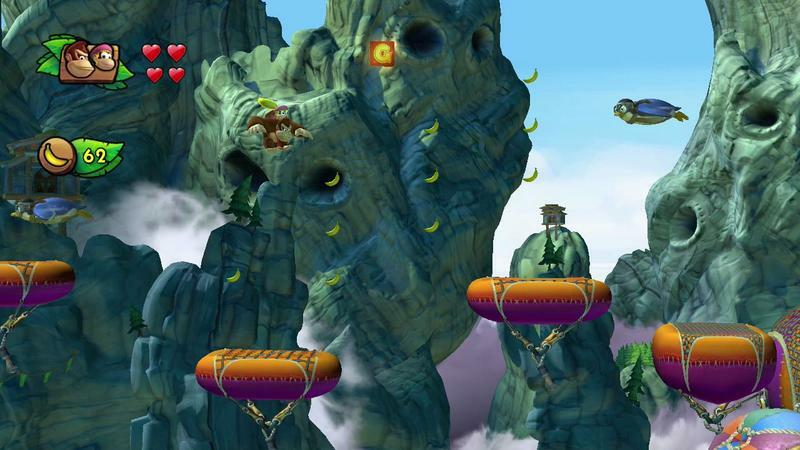 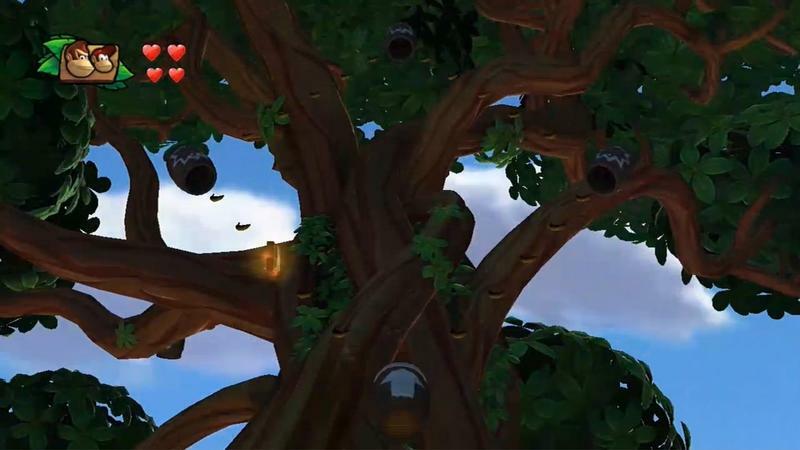 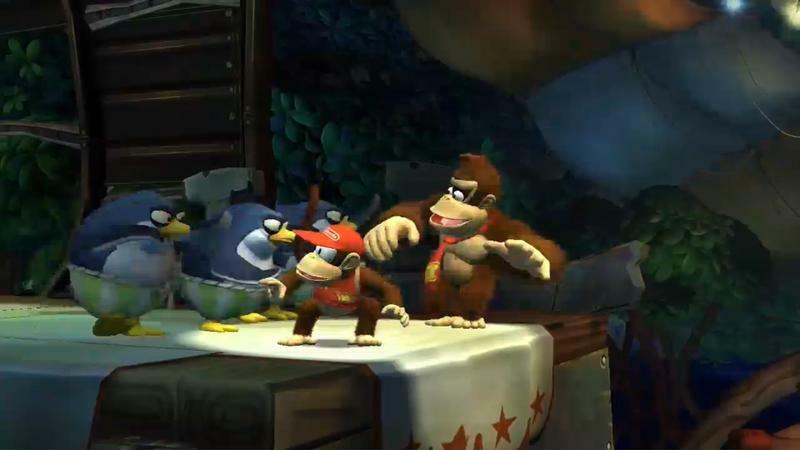 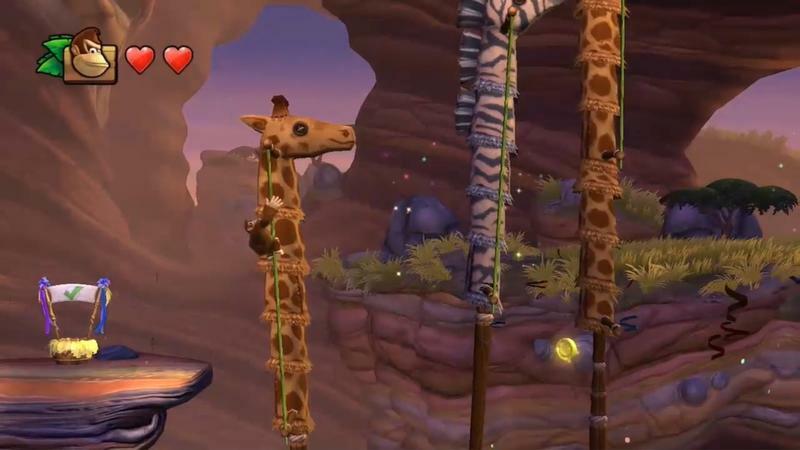 Donkey Kong Country: Tropical Freeze, the Wii U exclusive follow-up to Returns, will be harder. 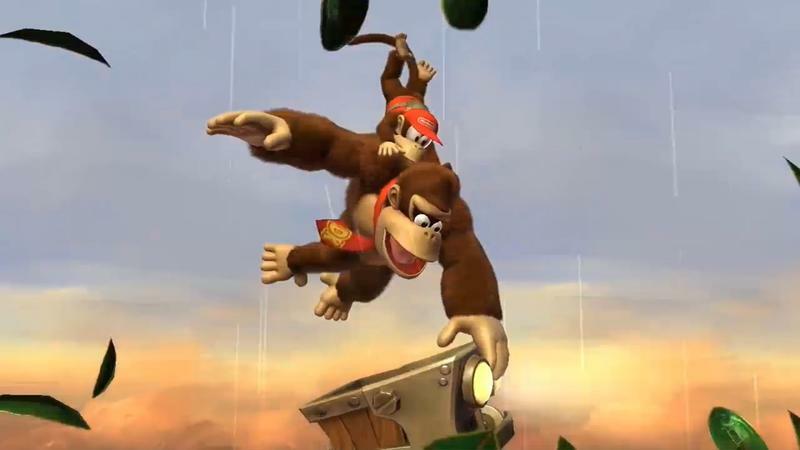 I know this because the Nintendo of America rep running my demo here at New York Comic Con told me so. 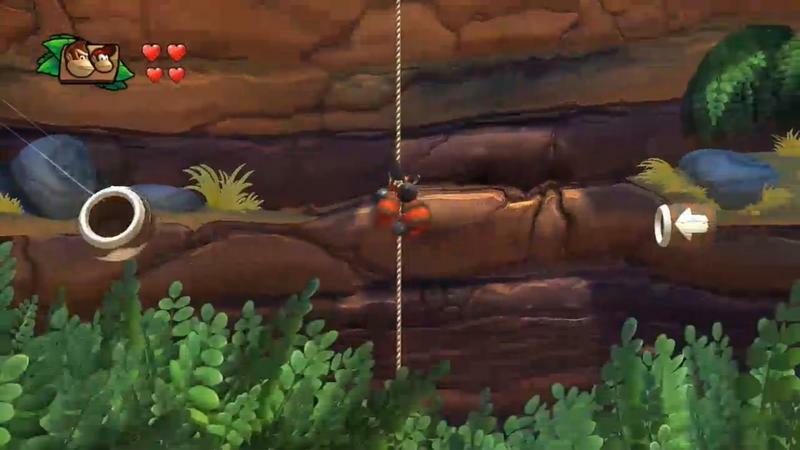 There are entire levels that will out and out challenge you as a gamer. 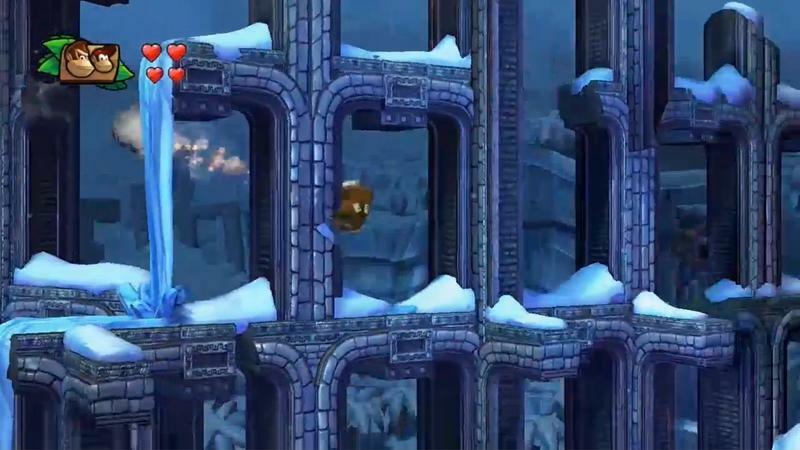 He compared the precision requirements to Super Meat Boy, which, folks, is scary. 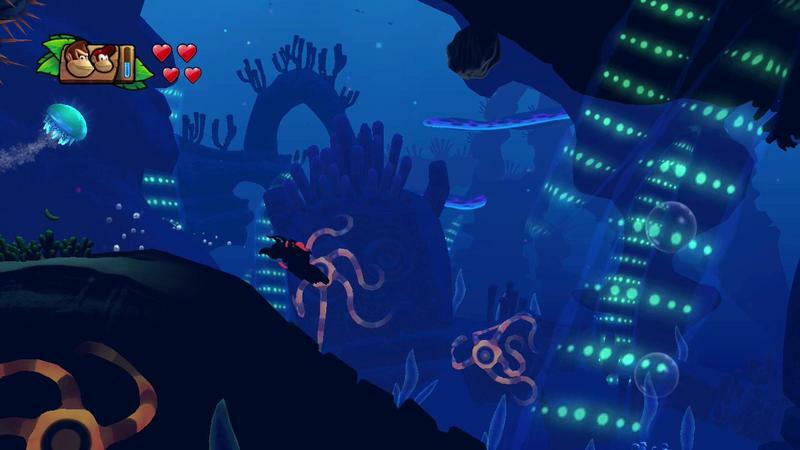 I rocked out two separate levels from the game’s campaign. 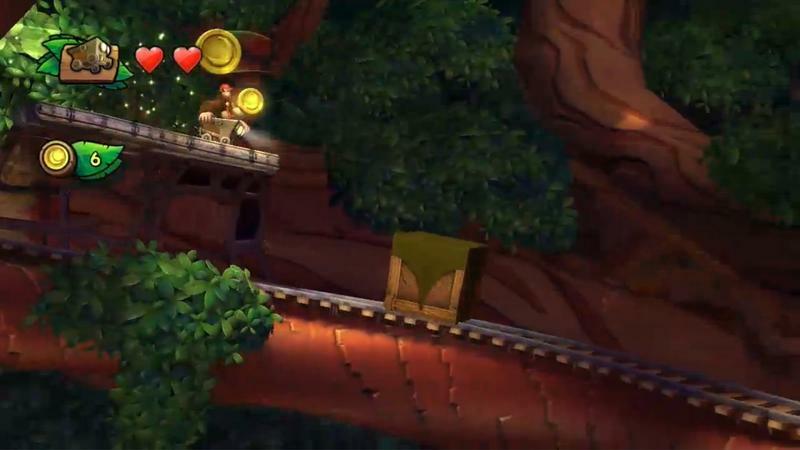 A cooperative partner and I teamed up as Donkey and Diddy as we cleared one stage centered around those blessed mine carts and another that made use of tons of barrels. 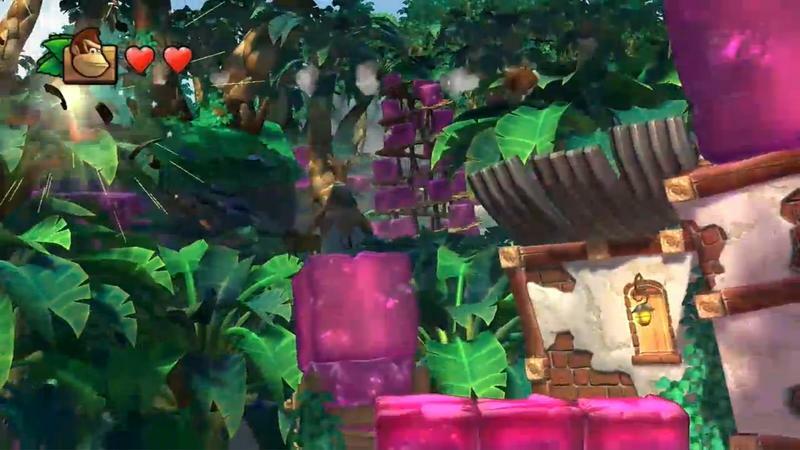 Pretty much, Donkey Kong Country: Tropical Freeze feels largely like a massive overhaul of Returns. 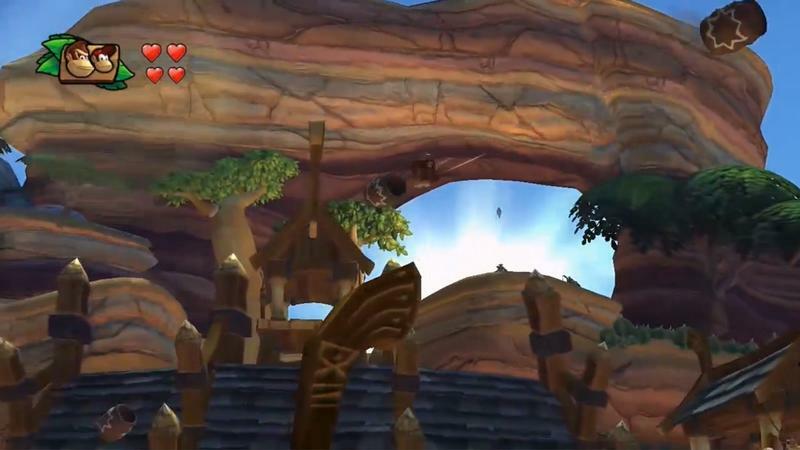 Better graphics meet tighter controls and a world packing a dynamic camera. 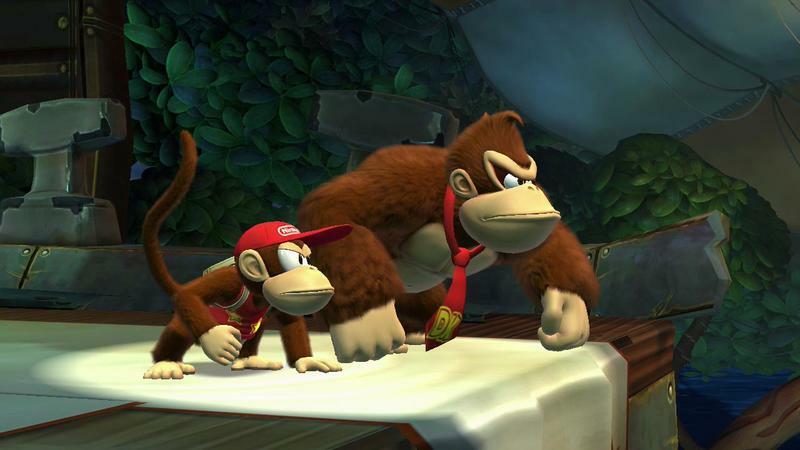 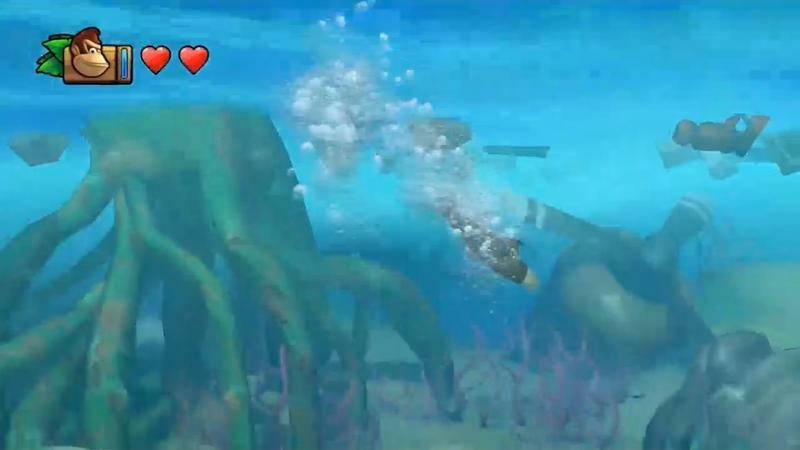 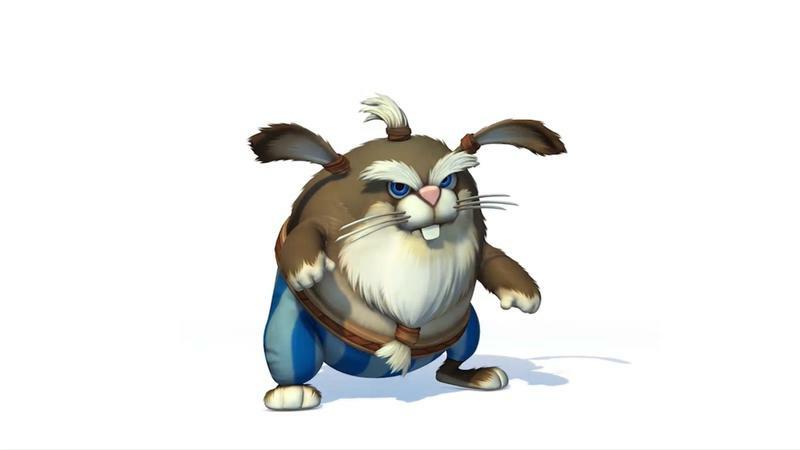 Retro Studios also listened to fan feedback and created even tougher spaces with more of an emphasis on timing and precision. 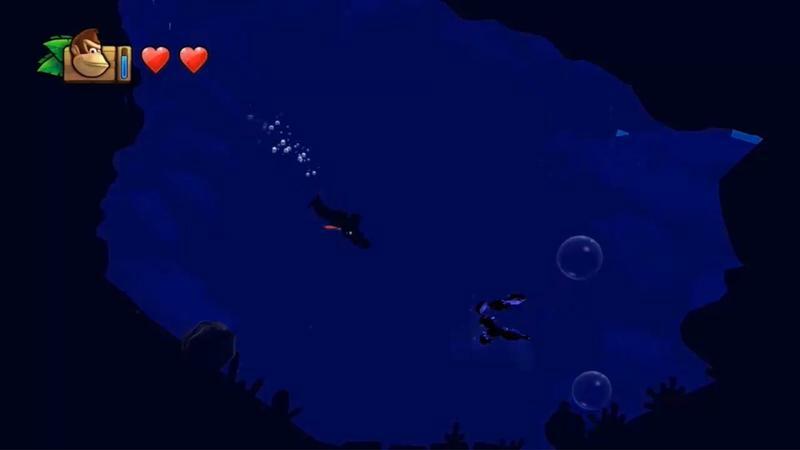 We died a bunch in our demo, though never enough to drag out that dreaded Game Over screen. 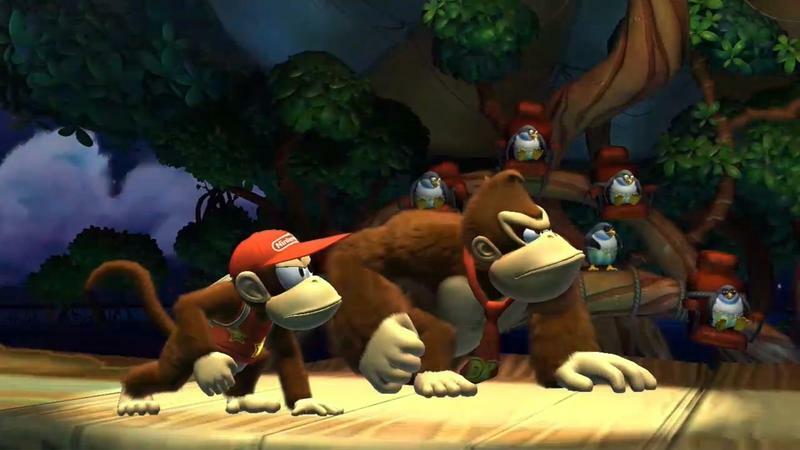 Losing felt great, like playing a classic title that was their to challenge us as much as it was to entertain. 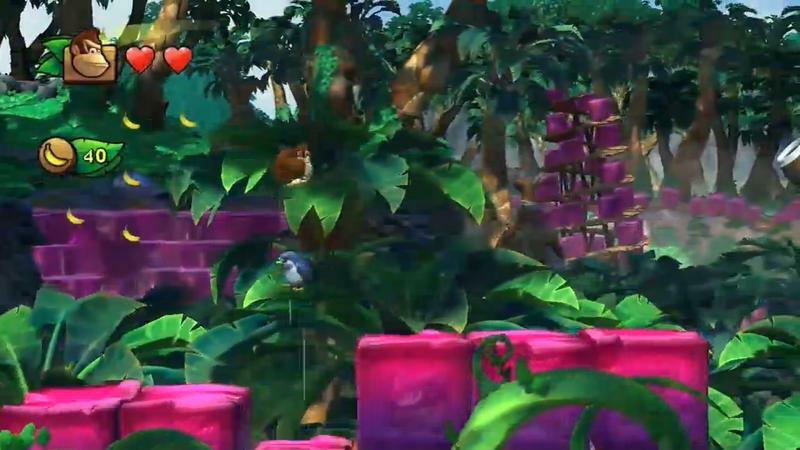 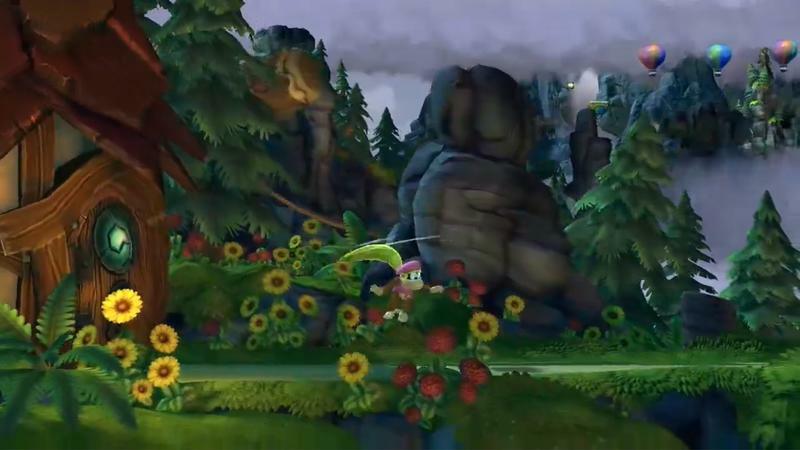 On a quick side note, the music here sounds better than it did in Returns. 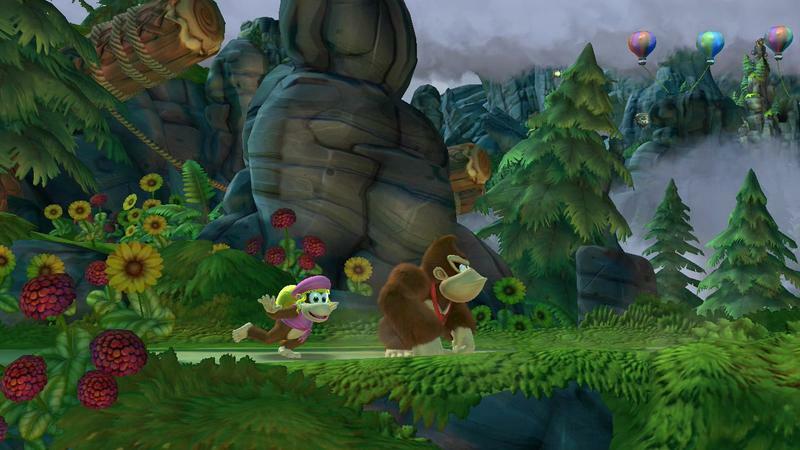 We were told that David Wise, the man that worked on the original Donkey Kong Country‘s soundtrack, is back. 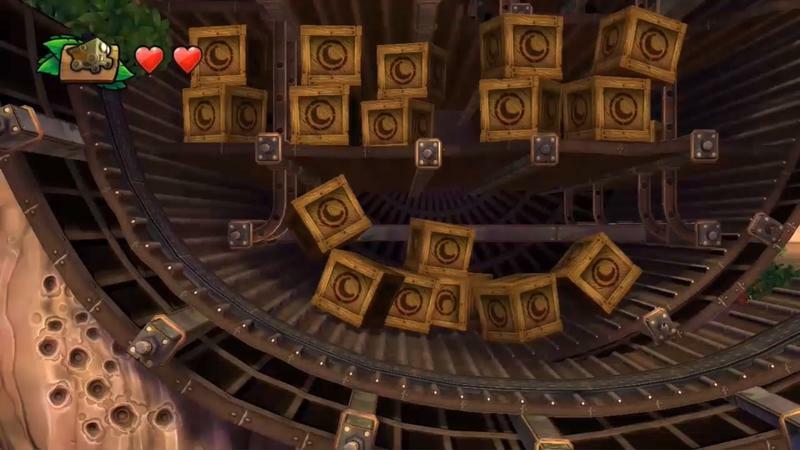 That bit shows, everything sounded wonderful. 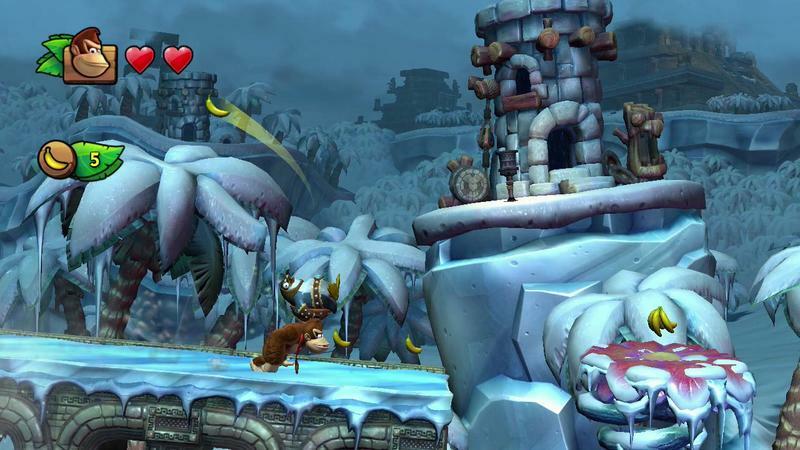 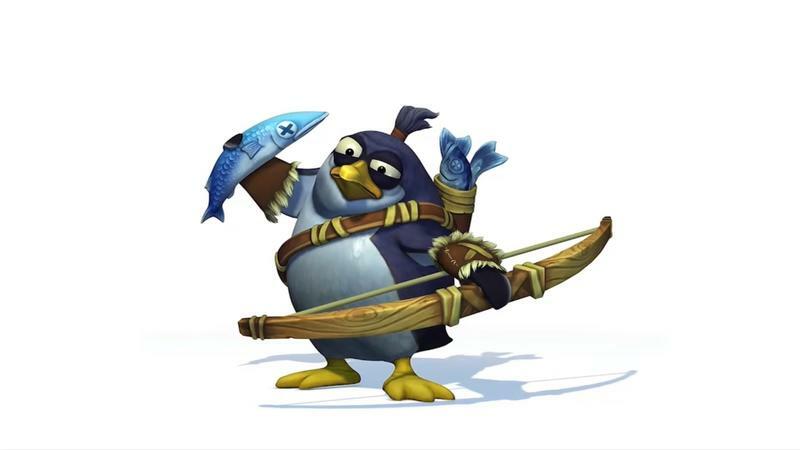 Originally slated to drop this year, Donkey Kong Country: Tropical Freeze will drop for the Wii U in Feb. 2014.